I recently returned from my second annual trip in pursuit of King Salmon, at the Salmon River, in Pulaski, NY. During last year’s trip I hooked many, but landed only two Kings in three days of fishing. I became familiar with their rather intimidating size and power, but never achieved any sense of control over a hooked fish. It was simply a matter of hanging on and hoping for the best. This year, as the date of our trip approached, we’d been very excited to hear reports of charter boats on Lake Ontario marking huge schools of salmon on their sonar units. 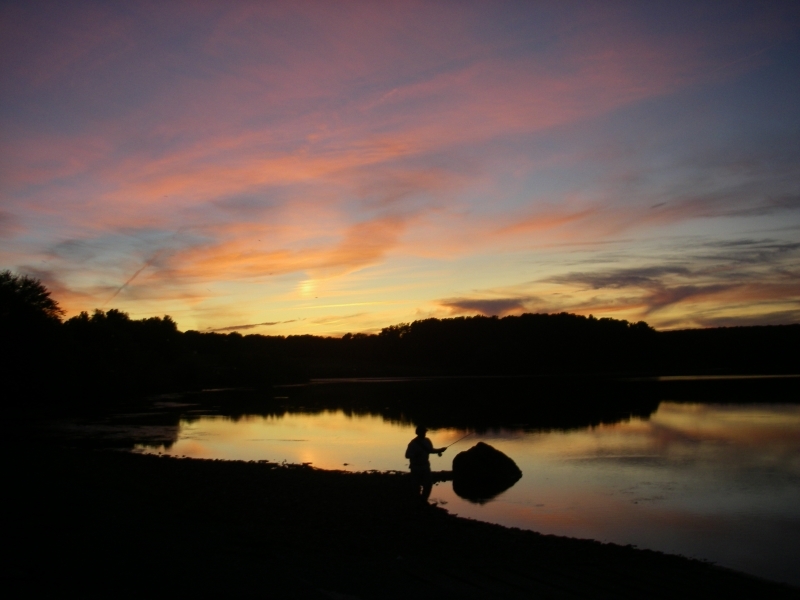 This presaged a strong run of fish up the Salmon River. Although salmon had been trickling into the river for a few weeks, the main run had clearly not started yet. The water was too warm and the river too low. 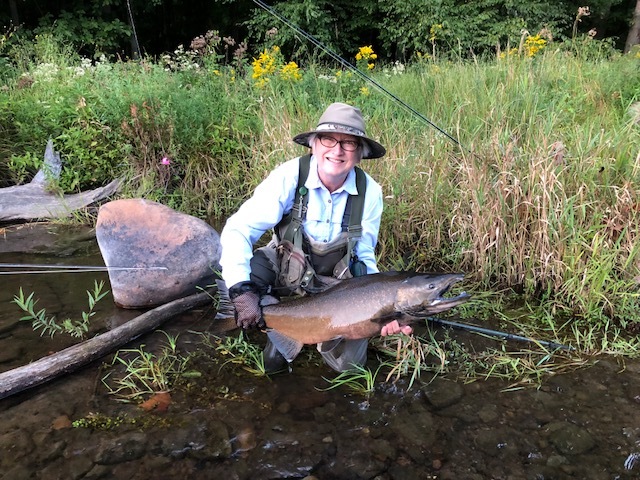 This entry was posted in Fly Fishing Tips, Mary Kuss, PA Fly Fisher, Our Regular Contributors and tagged fly fishing, fly fishing advice, fly fishing gear, king salmon, salmon, Salmon River on November 20, 2018 by Mary Kuss.